1936 The Winter Olympics of 1936 were held in the town of Garmisch-Partenkirchen, in Bavaria, Germany. Germany hosted the Summer Olympics the same year in Berlin. 1936 is the last year in which the Summer and Winter Games were both held in the same country. 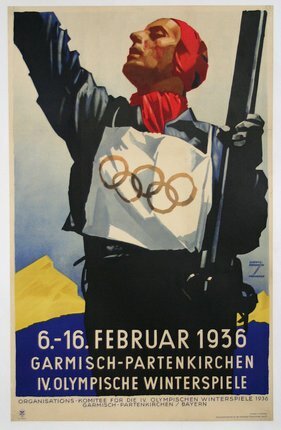 The 1936 Winter Olympics were organized on behalf of the Sports Office of the Third Reich (DRL) by Karl Ritter von Halt.